People like to plan, to know what life holds in store each day. However, a tooth can chip at any time throwing a wrench into your plans. When the unexpected occurs, you want to know help is available. Located in Gambrills, MD, Dr. Bingham-Lester offers affordable same day dental crowns to restore chipped or broken teeth. CEREC crowns are an excellent choice to restore your smile efficiently and effectively. CEREC stands for Chairside Economical Restoration of Esthetic Ceramics. This system utilizes advanced CAD technology and an in-office milling machine. The technology allows your dentist to create custom crowns in a single office visit. Using digital impressions of the teeth, a computerized design of the crown is made. The design can be modified as necessary to ensure a natural-looking result. Once the design is approved, the milling machine fabricates the crown which is ready in minutes. The crown can be bonded to the damaged tooth for a beautiful result. The entire process from start to finish is completed during the same office visit. With any dental procedure, the expense is a concern. Patients often assume same day CEREC crowns are expensive because of the speed with which they are created. 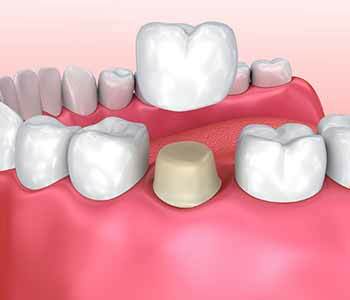 In reality, there is usually little difference in the price of traditional or CEREC crowns. Traditional crowns are created by an off-site laboratory. With CEREC crowns, you are saved the cost of laboratory fees because the restorations are created in the office. Plus, only one dental appointment is needed saving you extra copays or the added expense of additional office visits. Some insurance companies help cover the cost of dental restorations. Being aware of your plan’s benefits ahead of time helps ensure there are no surprising costs later.